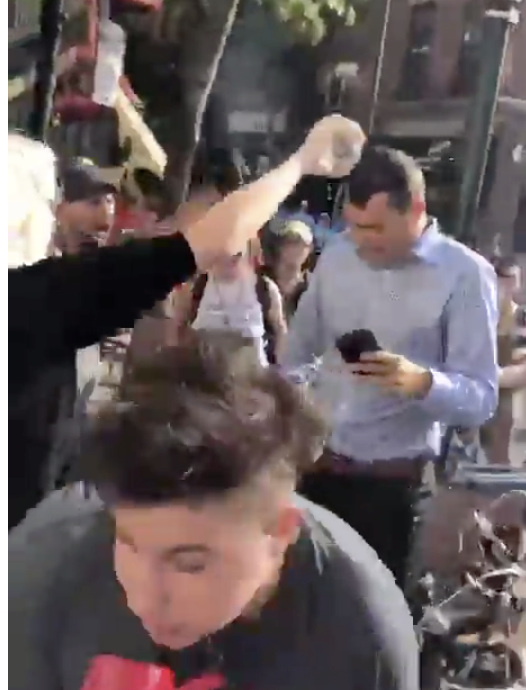 Conservative activists Charlie Kirk and Candace Owens were harassed by protesters at a Philadelphia coffee shop Monday morning. Kirk and Owens are best known for organizing thousands of conservative student activists with the group Turning Point USA, which Kirk founded. Footage shared by Owens Monday morning show a man pouring a drink on Kirk. Protesters chanted “No More White Supremacy” at Owens, who is black, and Kirk, blew whistles and yelled in a megaphone. Police can be seen attempting to protect the two and escorting them from the scene. Kirk said he was given the opportunity to press charges for the incident, but tells the Daily Caller that he has declined.